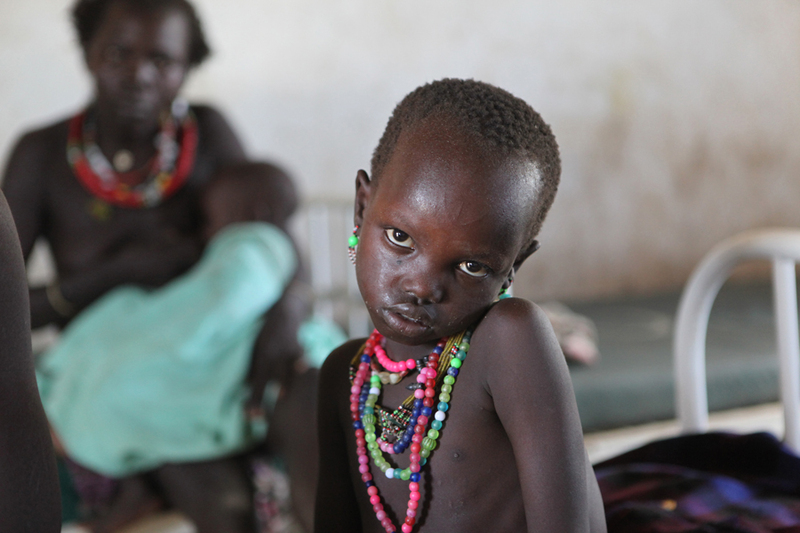 Lototo Lukamoi, 5, in the Inpatient Ward of the Save the Children-sponsored Riwoko Primary Health Care Center (PHCC). Lototo was admitted to the clinic for cerebral malaria, and was suffering from fever, weakness, convulsions and hallucinations, before the medicine took effect. Save the Children also sponsors a number of smaller Primary Health Care Units (PHCUs), all managed and staffed by the Government of South Sudan Ministry of Health.